Peter Norton plays bass trombone and is a euphonium and trombone soloist with the Cincinnati Symphony Orchestra and the Simon Winds. 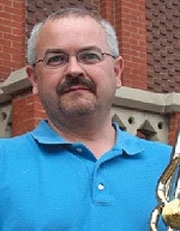 He was the principal trombone with the Orchestre Symphonique de Montreal (1987-90), bass trombone with the CSO (1985-90) principal trombone with the Dayton Philharmonic (1981-85) and trombone with the Queen City Brass Quintet (1979-present). His teaching experience includes Xavier University, Central State University and University of Dayton. Tony Chipurn was his teacher. BM, College-Conservatory of Music, University of Cincinnati.